Chuseok is just around the corner, packed with gifts. The traditional holiday, which falls on Sept. 24 this year, sees people visiting families in their hometowns -- and they do not show up empty-handed. Preparing gifts is not obligatory, but it is considered good manners to visit a relative’s house with a gift, appreciating the effort that the host made. Also, Korean companies offer gifts to its employees in the season, recognizing the hard work and encouraging them. Businesses exchange gifts as well. The gift-exchange culture has seen changes lately, however, as an anti-graft law went into effect last year. Still, the culture itself has not died out, though the content of the gifts may have changed. Here is a list of five gifts that are often exchanged in Chuseok. Hanwoo, meaning Korean beef, is considered a great delicacy here for its fine taste. 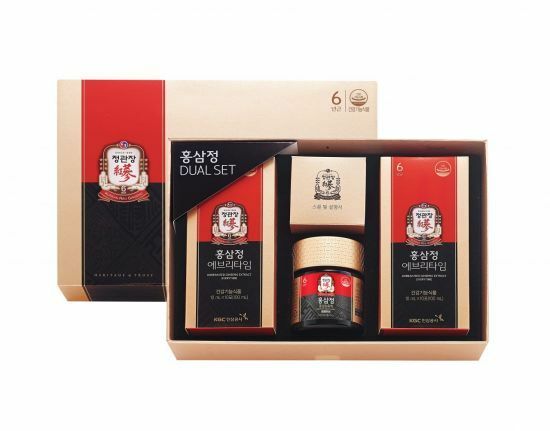 A gift set of hanwoo is one of the priciest options for Chuseok gift. 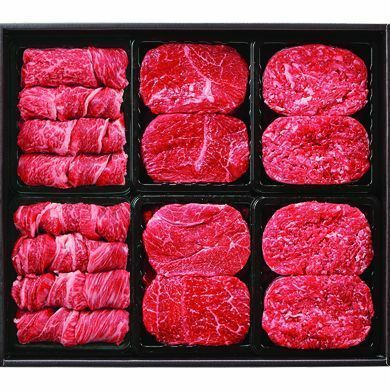 For a gift set, sirloin and tenderloin are the most popular parts. But ribs are also greatly appreciated, as they are used to make galbijjim (braised short ribs), a classic dish for Chuseok. Though the demand for hanwoo gift sets declined after the anti-graft law went into effect, its popularity has risen again as the law has been relaxed lately. Chuseok, originally, is a holiday to celebrate the harvest season. 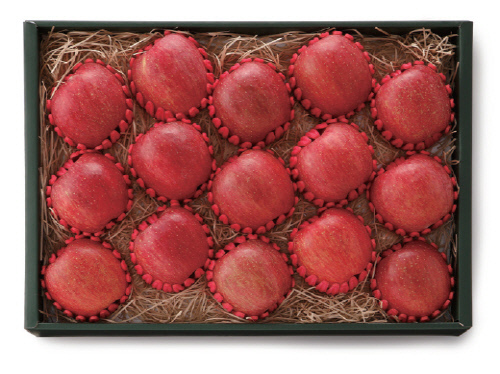 A gift that reflects the holiday’s traditional meaning is a fruit gift set. As the holiday falls in autumn, newly harvested apples and pears are often given as presents. Bear in mind, only the perfectly shaped ones make it to the gift boxes. Though not traditional, mangos are rising as a popular option, according to the retail industry. In Korea, apple mangos are expensive as they are difficult to grow locally. As Chuseok gifts are often offered to elderly parents and relatives, health-related products are popular. But it can be tricky to pick out a health-related gift as people have different needs and wants. As a result, red ginseng, which can satisfy everyone, is often sought. Red ginseng comes in all kinds forms -- from extracts, teas and jellies to candies. Though the ginseng plant may not look much appetizing with its thin, hairy roots, the processed products have a relatively sweet taste. Gulbi, dried yellow croaker, is not an everyday fish here. It is for special occasions due to its price. At Chuseok, to gift someone with great appreciation, gulbi gift set is the choice. 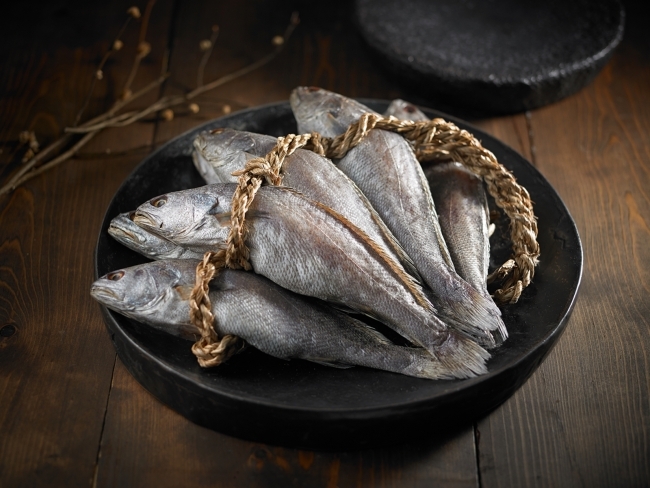 The gift can be practical, as the fish is prepared for the ancestral rites performed during Chuseok. Upscale gulbi gift sets can be purchased at premium hotels and department stores, but local retailers have more affordable options, too. 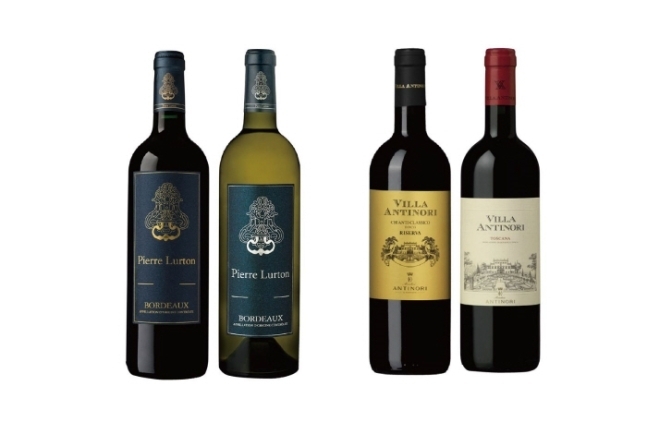 Taking a diversion from the traditional gift sets, wine has become a trendy choice for Chuseok gift. Wine is favored as it can be kept for a long period. Usually, as people receive many gifts during the holiday season, some gifts overlap. It is hard to preserve gifts like beef or seafood sets. But wine can be saved for later. Many gift-givers also favor wine as the price range is wide.